You are not logged in. 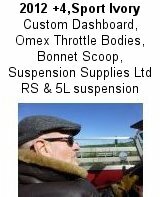 [Log In] Talk Morgan » Forums » Morgan Sports Cars » Morgan Car Badges » Three legs ! Lived in Port Erin for 8 years a while back. Yes, very rare also ! Manx Mog Club. You would know or find one? 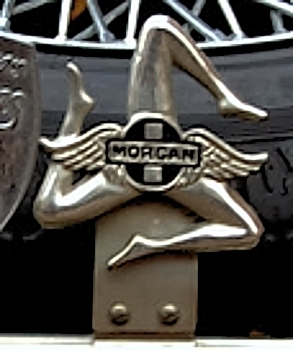 If there was a Morgan club in Sicily it would have a very similar badge. It will be available in a couple of weeks from India, don't worry. It is quite plausible. I found on a italian badge bar Morgan. It would be a badge event to a Sicilian output in this case. But I also saw a photo of Morgan a member of the Manx Mog ... so mystery ? It is probably the "legs of Mann" but I love the obvious Sicilian connection in the photo. He is dressed as the Godfather for a fancy dress party I imagine. Nobody would ever dress like that for real surely.